Although the Cornish Rex cats look remarkably similar to ancient Egyptian statues, they do not, in fact, come from Egypt. As the name suggests, they come from Cornwall in England. As a matter of fact, the Cornish Rex cats are a genetic mutation that originated from a litter of cats that was born in a barn in Cornwall. The male offspring was bred with the mother to produce two more kittens and the male amongst these two kittens was bred with a Siamese cat. The offspring of this pair are the foundation of this breed. 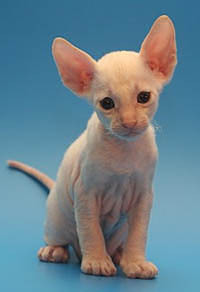 While most cats have three types of hair in their coats – the outer fur, the middle layer and the undercoat, the Cornish Rex cat only have the undercoat. This coat is extremely fine and curly and falls in washboard curls. In fact, it is the softest amongst any breed of cats. It has a distinctive head and body shape. Cornish Rex cats are referred to as the “Greyhounds” of the cat world because of their sleek looks and their galloping way of running. They remain kittenish and playful throughout their lives. Many can be taught to play fetch, do acrobatic jumps or race other pets. 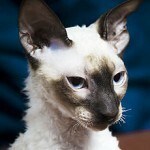 Cornish Rex Cats are extremely intelligent, curious and adventurous. They enjoy the company of people and other pets. 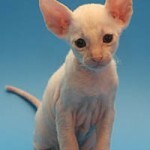 Due to the thinness of their coat, the Cornish Rex cats need warm living conditions and prefer to be indoors. They are likely to catch hypothermia if they remain outside during winters. They like to stay close to warm places like just under the light bulb, tops of computer monitors and laps and shoulders. They’re the best cats ever! Love them! 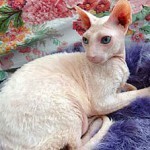 they may be hairless but Cornish Rex cats are cute and ugly at the same time don’t judge the book by its cover love it while you can!!! I had a cornish rex they make wonderful pets as they are very clever and are very needy lap cat and wag their tails when they are happy. They also sleep in the most weird of positions.